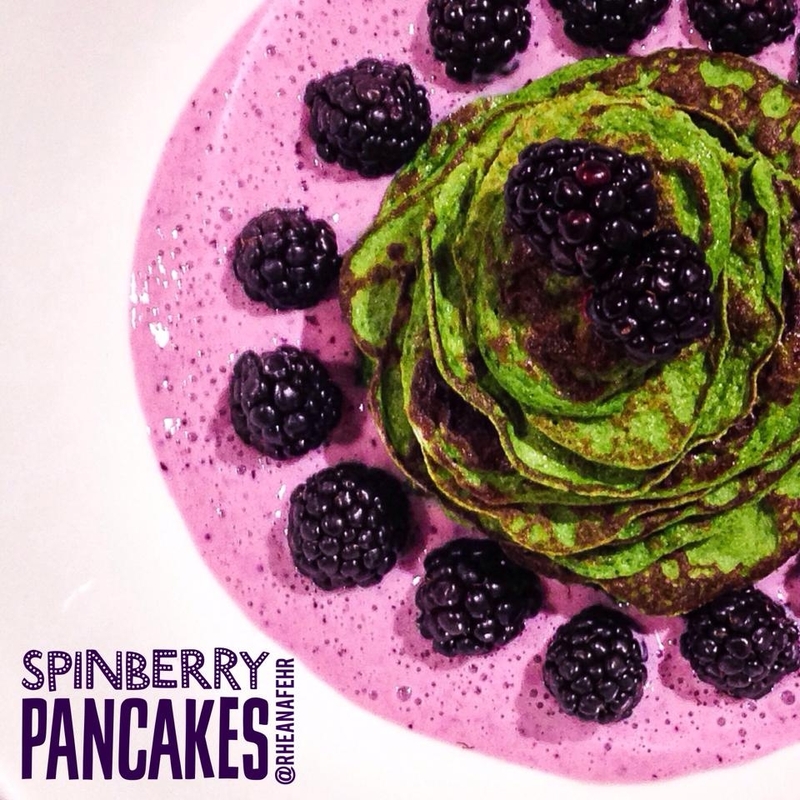 Delicious Spinach Pancakes filled with protein and nutrients - enjoy any time of the day! Blend up spinach, egg whites, protein powder, coconut flour, almond milk and stevia. Cook pancakes on medium, on a pan sprayed lightly with extra virgin olive oil. Blend up greek yogurt with 1/4 of the berries and stevia to taste, until desired sweetness is reached. Place pancakes, remaining berries, and topping in a bowl, and ENJOY!